In the build shown below, Evan McMahon dares to ask the question, “Have you ever been disappointed by a mood ring?” While that might seem a bit random, the answer is a likely “yes” if you’ve ever worn one with the expectation of any sort of accuracy. 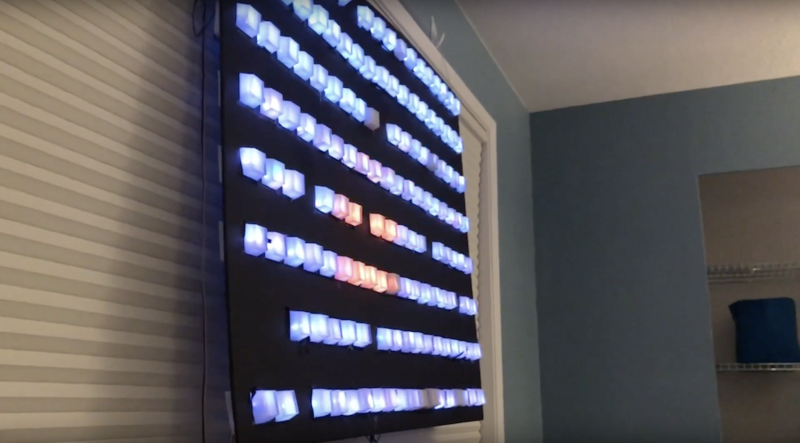 Fortunately, he didn’t just pose the question, but also came up with a clever solution, using an array of lights under Arduino control. 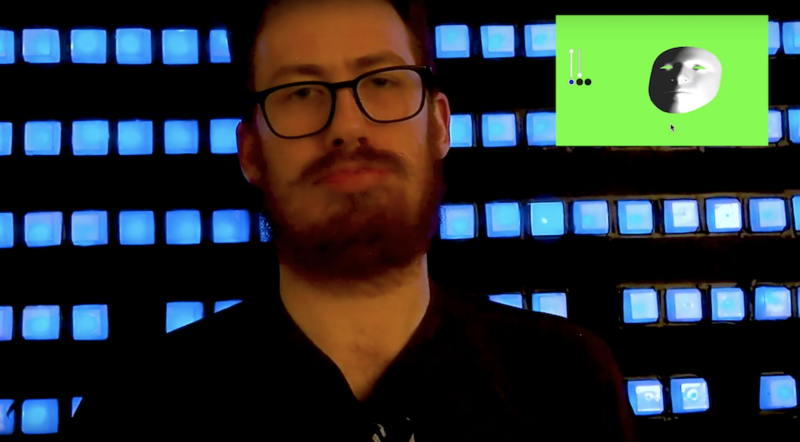 For the setup, McMahon uses the camera on his iPhone to take video of his smiling or frowning mug, and analyzes it with the help of Unity running on a computer to translate this into his apparent state of mind. This info is then sent to an Arduino Uno, which puts the programmable LED lights into dance mode if he’s happy, and makes them shine blue if he’s a bit blue himself! I made another thing! This time it’s a mood wall that reacts to your facial expressions. I made it out of an Arduino, poster board, disposable cups, NeoPixels, an iPhone X and a whole lot of cutting. The wall itself is driven by Unity, sampling animations and particle systems to make a final light show presentation.